I am super excited to partner with Bob’s Red Mill and the Nashville Today show using some nutritious and delicious products to bring a few healthy Fall treats to you! This is the time of year all the candy, cakes, pies, and gooey temptations creep into our homes and can pack very little nutrition. A little back ground why I love Bob’s Red Mill, first and foremost it is simple, using minimal, wholesome ingredients and full of nutrition. I also love all the variety they carry as a company lending their product line to several healthy meal and snack options. This company was founded in 1978, the year I was born and it specializes in stone-ground whole grain flours, cereals, seeds, baking mixes, grains and lots more. The Bob Red Mill products simply strive to provide good, whole nutrition our body can utilize and nothing it doesn’t need, I love that! So lets start with Spiced Carrot Cake Energy Poppers! Little bites of candy here and there can add up during this season so why not keep healthy energy poppers on hand to soothe that sweet tooth, boost nutrition, and still delicious! 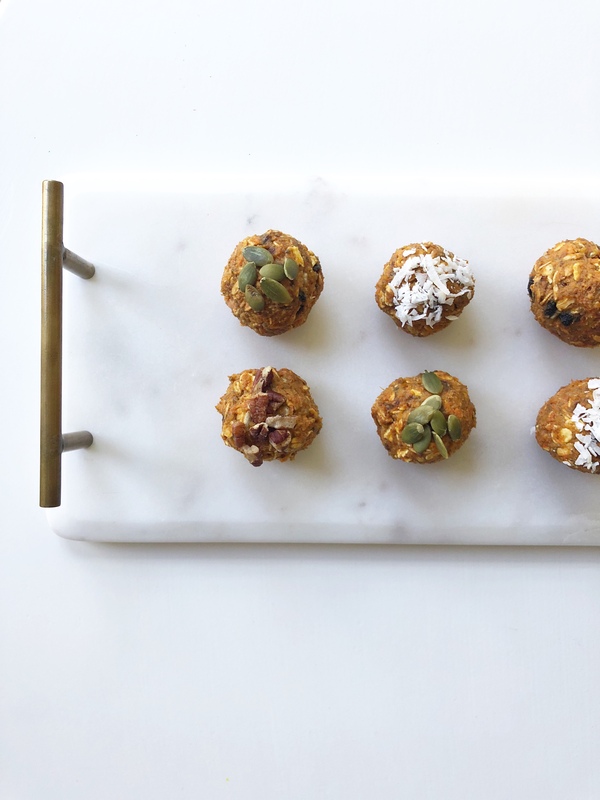 These Spiced Carrot Cake Poppers are packed full of protein and fiber for satiety, low in sugar, provides prebiotic and probiotic properties, omega 3 fatty acids, good iron, and taste like a little piece of carrot cake heaven! The Bob’s Red Mill Muesli and Vanilla Protein Powder are the star ingredients used in the poppers along with other wholesome ingredients like carrots and almond bitter, packing in lots of wholesome nutrition helping you for go that piece of tempting Halloween candy. Nacho Popcorn! 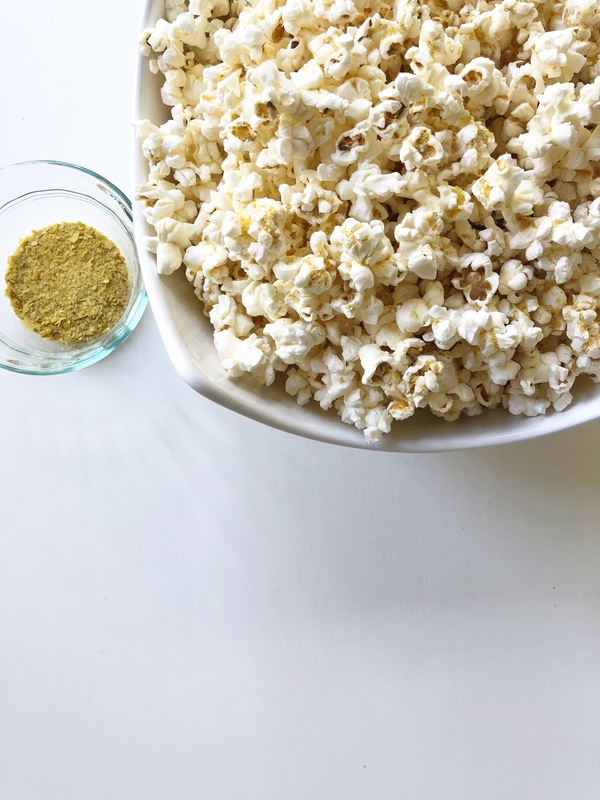 This Recipe is popcorn elevated and takes eating popcorn to a whole new nutrition level using the natural Bob’s Red Mill Popcorn and Nutritional Yeast. The popcorn comes in two varieties, yellow or white popcorn and both are delicious. Popcorn is a whole grain and great for healthy snacking since up to 3 cups is considered a serving. Full of fiber and just simple popcorn kernels that can be cooked naturally on a stove top, in an air popper, or microwave this is a great alternative to processed popcorn products or chips. The nacho topping uses a star ingredient, nutritional yeast! Nutritional Yeast is a unique vegetarian type food or topping that packs a powerful nutritional punch! Nutritional yeast is full of B vitamins, specifically B-12 and provides 8 grams of protein per serving. The flavor is cheesy, slightly nutty, and a little buttery. Adding this nutrition boost to popcorn takes Popcorn to a whole new nutrition level. 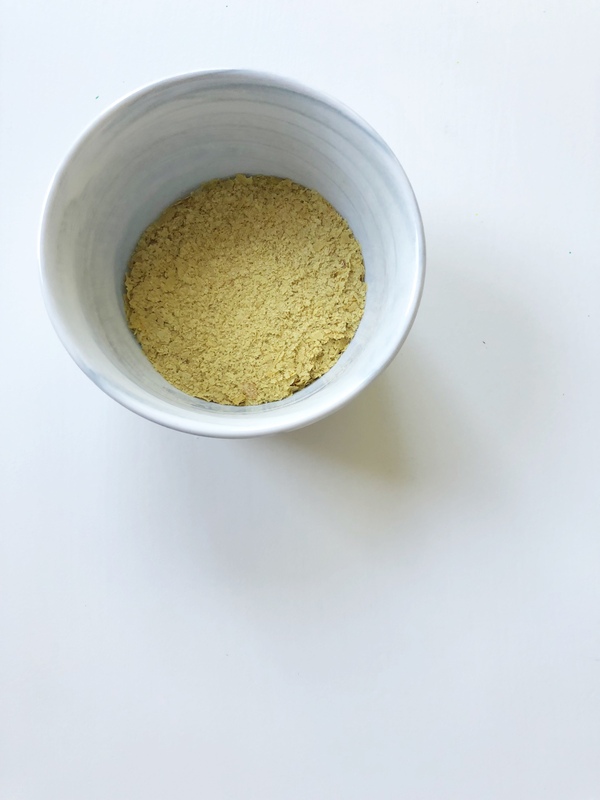 Nutritional yeast if so very versatile providing a powerful nutrition boost to many meals or snacks from adding it to vegetables, baked potatoes, scrambled eggs, pastas, salads, soups, kale chips, and more. It is gluten free and friendly for plant based diets along with many other diets. This is definitely a versatile staple I would recommend keeping on hand. Pumpkin Spiced Smoothie! 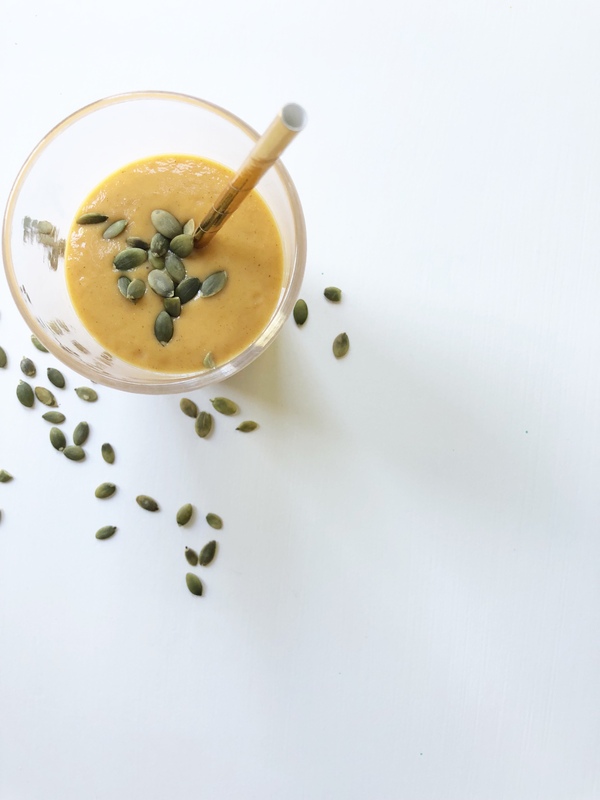 This is such a simple recipe utilizing the Bobs Red Mill Vanilla Protein Powder, pumpkin, milk and ice…. that’s literally it! The Vanilla Protein powder is a great nutritional boost to a smoothie adding simple and real ingredients to elevate the smoothie. This protein powder not only is delicious but it packs 20 grams of plant-based protein from pea protein, is rich in iron, 240 mg of omega-3 per serving, provides both prebiotic and probiotics, no artificial colors or flavors, and sweetened with monk fruit. This a super great protein powder, Dietitian approved that is a great staple to keep on hand as well to boost your next smoothie or shake. Bob’s Red Mill is a brand I trust to deliver wholesome nutrition for good health and applaud all of their effort to deliver healthy options to all of us. Thank you Bob’s Red Mill!